Summary of Presentation on 21st September by Glenn Staples: Department of Fisheries. On 7th April 2008, 22 tonnes of salt was applied in applied in several places in St Georges Basin. Infestation levels have receded, and remain low. Generally, it is not spreading through the Basin at present. Since the salting in ’08 mapping & monitoring, using use of transects, was maintained until 22nd April 09. There is a small infestation in Pats Bay, and a small amount near the Basin View boat ramp - but no additional large outbreaks needing targetting. The Department has limited funds available to address this problem. Their current priority is Lake Wonboyn (approx 25km south of Boydtown). The majority of funding is being directed there, with the goal of total eradication in that lake. Money collected from Fines goes into ‘consolidated revenue’, not to Fisheries department. If their department was an ‘authority’ it would be able to keep money collected from Fines. Money from Licences goes into a trust fund overseen by recreational fishers. There is currently less active publicity about caulerpa in St Georges Basin, because of concentrated efforts in Lake Wonboyn, for total eradication there. During the last salting activities at Basin View boat ramp, sacks of salt left overnight at the ramp, had been significantly pilfered and damaged by persons unknown, hindering the salting activity there. There will be ongoing monitoring of caulerpa taxifolia in St Georges Basin; at a similar frequency to present - twice yearly, using transects, and long-term plots. 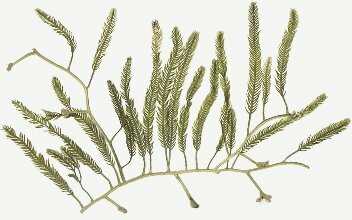 Caulerpa taxifolia (Caulerpa) is a fast growing seaweed that is native to tropical Australia and the South Pacific that has colonised various areas outside its natural range, including several NSW waterways. 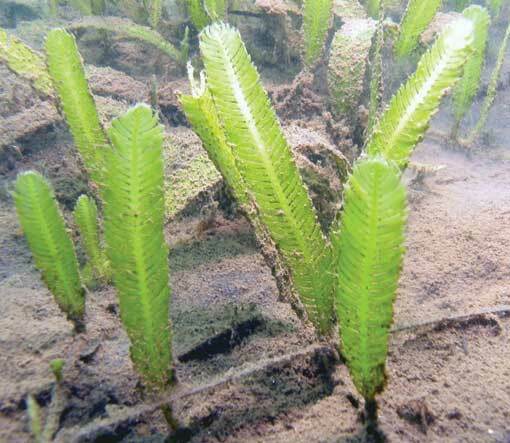 Caulerpa was first found in NSW in April 2000, and it has now been detected in 14 NSW estuaries and lakes. In the past, Caulerpa has been widely used as a decorative plant in the NSW marine aquarium trade. This seaweed can invade cool temperate waters, and Caulerpa has become established in several countries and areas where it is not naturally found. Caulerpa has been declared a Class 1 noxious species in all NSW waters under the Fisheries Management Act 1994. It is illegal to possess or sell the seaweed; and fines of up to $11,000 apply. The noxious listing also provides NSW DPI with the power to seize and destroy Caulerpa, or require its destruction. The strain of Caulerpa found in NSW is currently believed to be closely related to the Caulerpa strain found naturally in Moreton Bay and some other locations in northern Queensland. It has, however, been classified as an invasive strain of the species. The invasive nature of Caulerpa has raised concerns as it has the potential to grow rapidly, alter marine habitats and affect biodiversity. Aquatic pests, including Caulerpa are usually extremely difficult to eliminate once they have become established in the wild. It is therefore important to prevent noxious species such as Caulerpa from entering new waterways. Click here to see distribution map of infestation in St Georges Basin.